Daughn Gibson’s truck-drivin’, girlfriend-stealin’ persona comes out in full force on his second album, Me Moan. Carrying with it All Hell’s country-noir ambiance, Me Moan presents Gibson with bigger, brighter production, offering steady electronic beats on “Phantom Rider,” over which spectral guitars, synths and Gibson’s ubermasculine baritone seduce. Gibson’s voice is an unusual instrument, unleashing unrelentingly deep tones through clenched teeth, calling to mind an unholy blend of Nick Cave and Johnny Cash. He curls around consonants and adds even more atmosphere to the proceedings on songs like “The Pisgee Nest” — just the way he says “state trooper’s daughter” elicits a sort of middle-of-nowhere, middle-of-the-night elicit affair, like something out of Twin Peaks. 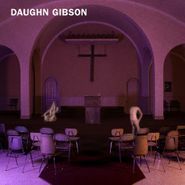 Musically Gibson keeps things fascinating throughout, using warped vocal samples on “You Don’t Fade” and electronic beats that keep a foot in the physical world via snaps and handclaps, while guitarists from Baronness and Brokeback echo rockabilly, horror soundtracks and classic country. Even while pulling from quite disparate genres and eras, Me Moan is a remarkably cohesive listen, as Gibson’s distinctive tone splits the difference between tracks as different as the upbeat, country janglin’ “Kissin’ on the Blacktop” and the black-as-night electrobilly of “The Sound of Law.” It's a great accompaniment for whiskey swirling or night driving. Aaron Detroit, Buyer at Amoeba Hollywood. I've worked in Hollywood for eight years, but started my time with Amoeba - way back in 1998 - at the San Francisco store. This is my extensive list of 2012 releases that I fell in love with or had serious affairs over the past 365 days. 2012, for me, was a surprising and amazing year in music. Nearly all 50 releases here could have been a Top-Ten contender almost any other year, and the Top Ten is full of records that could easily have been #1. The 6-year-long wait was well worth it, as is usually the case with Walker. This isn't the latest indie background music du jour - It's an Absurdist's symphony. Melody is eschewed for repetition, but you still walk away with the damned thing in your head. E-bows, machetes as percussion and disturbing (as well as amusing) scatological metaphors are some of the unlikely ingredients that make up this terrifying (and weirdly infectious) beauty. There's really nothing else like it, so enjoy figuring it out for the rest of your life.